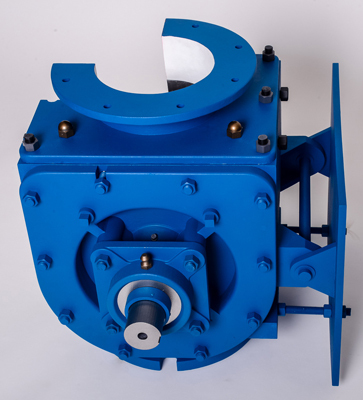 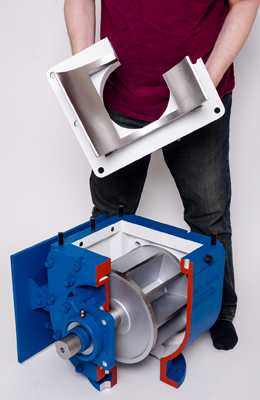 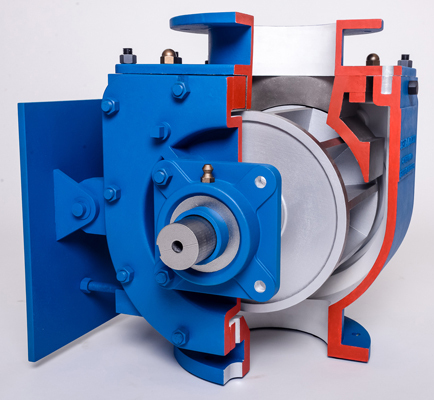 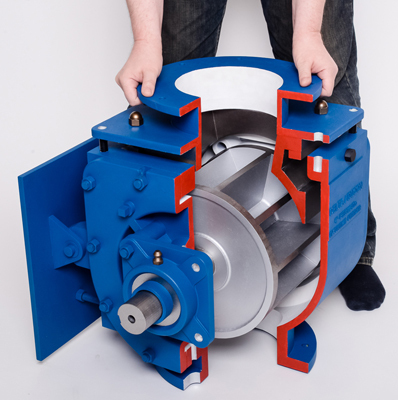 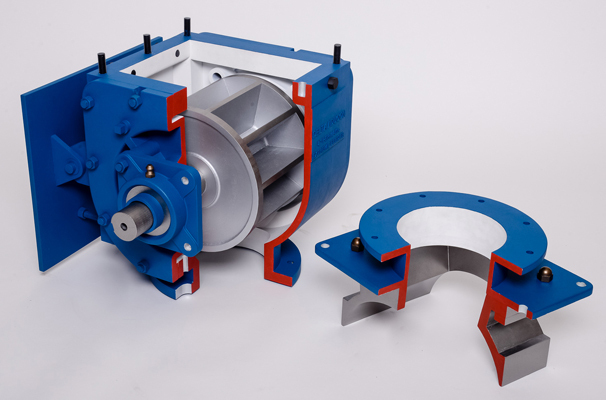 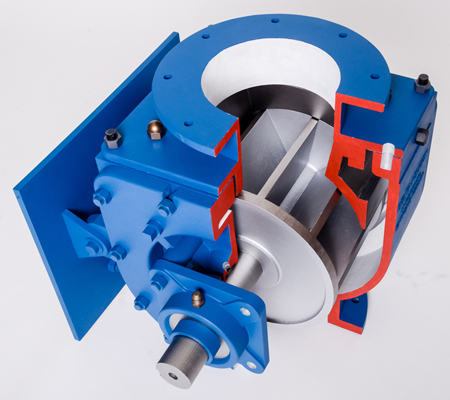 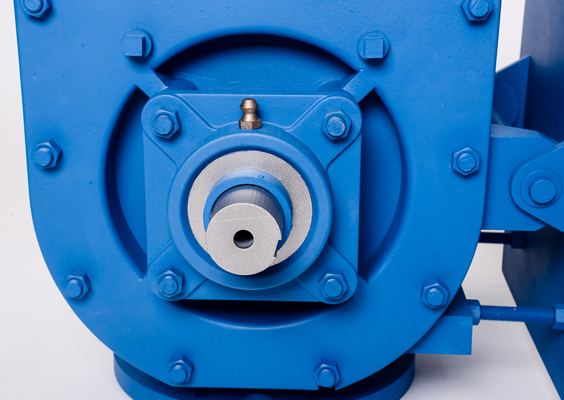 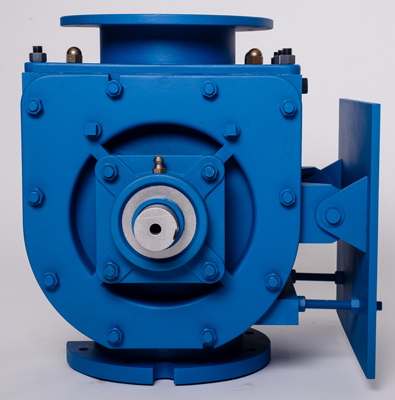 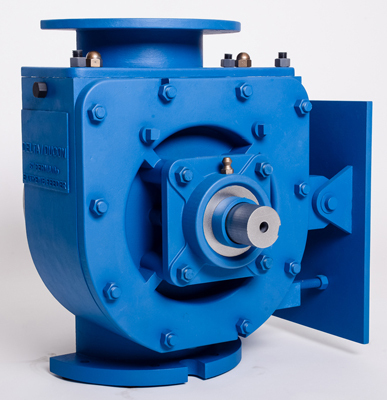 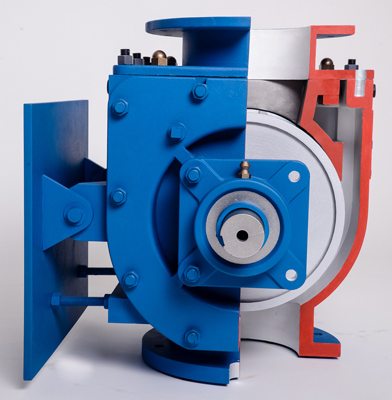 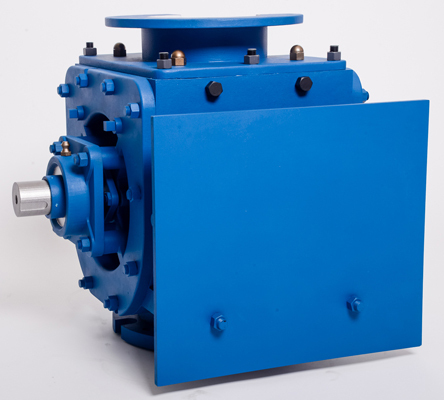 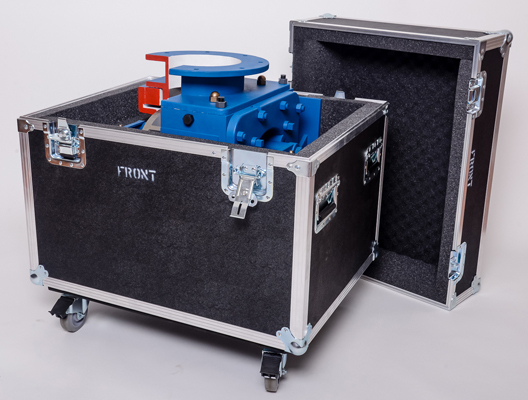 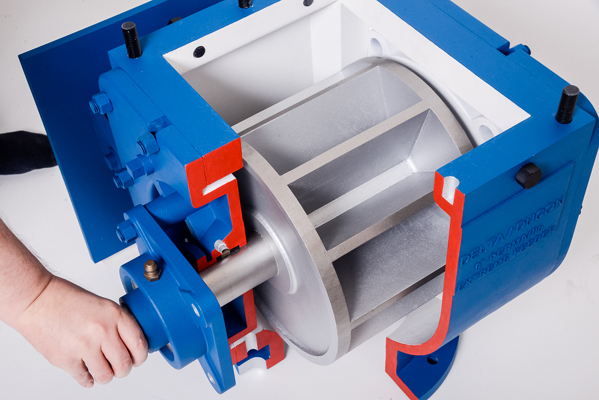 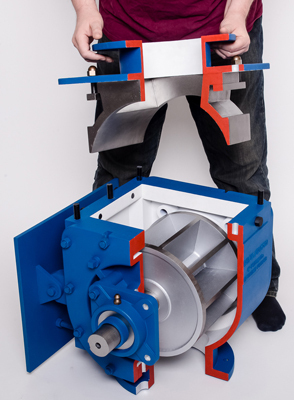 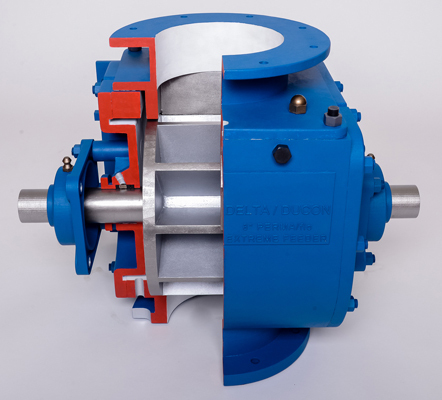 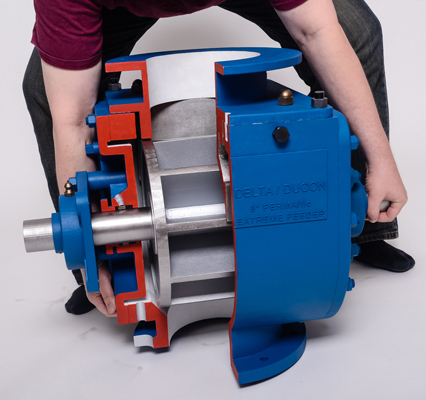 This is a full size model of a 8” PERMA/flo XT Rotary Valve by Delta Ducon for trade shows and presentations. 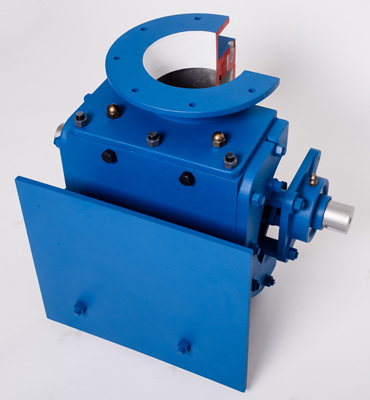 It is made of lightweight materials, including threaded rods and nuts. 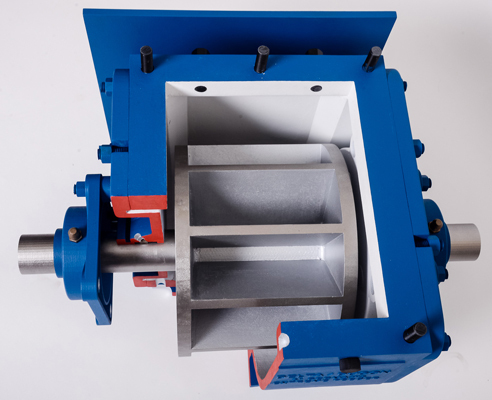 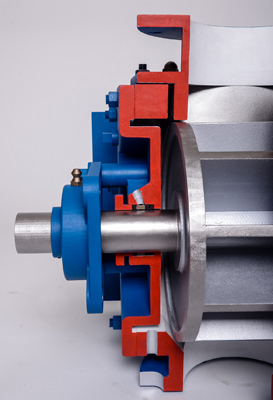 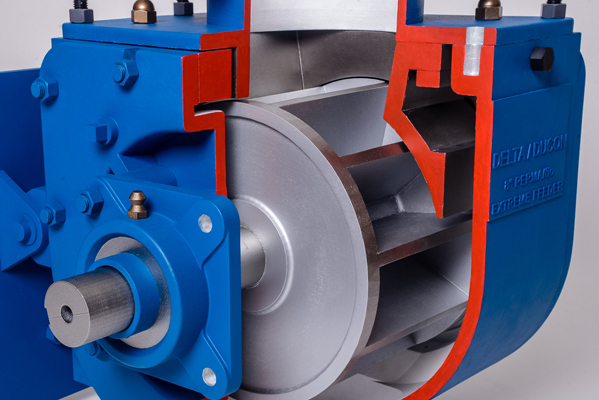 The model features 1/4 cut away revealing the interior of the valve and the functional (rotating) core assembly. 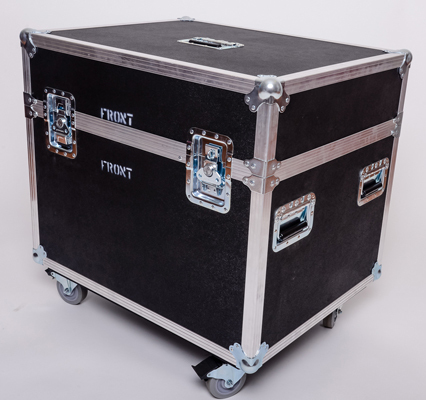 It accompanied by the custom ATA transit case for storing and transportation. 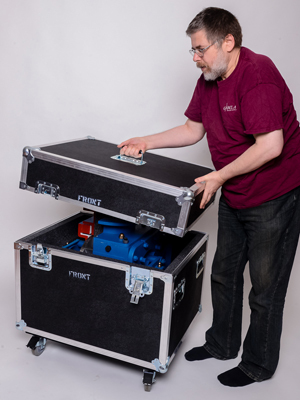 This model was developed in 3D software and can be produced in smaller size as a compact presentation model as well as an executive desktop model.